You, Me and Movies: Chifilmfest Review: "The Charmer" is the unexpected best of the day. Chifilmfest Review: "The Charmer" is the unexpected best of the day. So, there is kind of a funny story about this movie. It wasn’t something I was honestly interested in completely. For this festival, I purchased a twenty-admission movie pass, and to get my money’s worth, I am making sure I can cram in about four movies a day. On Monday, there were only three movies I knew I really wanted to see, so I decided to add “The Charmer” to my list because it played before everything I wanted to see, and it was the only thing playing before everything I wanted to see. So, I thought, what the heck, I will give it a try. I hope for a good movie, and anything else would be a bonus. Interesting enough, “The Charmer” was my favorite film I saw all day. 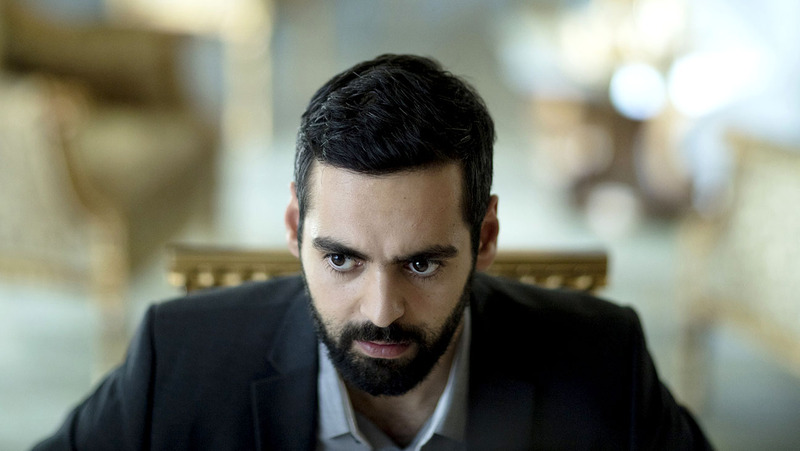 “The Charmer” tells the story of Esmail (Ardalan Esmaili), an Iranian man who has moved to Denmark to pursue his dreams. He has a Danish girlfriend who he has been seeing for an undisclosed amount of time as the film opens, and things are starting to get rocky between them. And in the opening moments, they break up. Esmail is told that he must fill out an application with his girlfriend proving that he is living with her, and if he can’t, then he must go back to Iran. Esmail spends the rest of the movie trying to pick up girls, get them to fall for him, date him and then allow him to move to secure his stay in the country. “The Charmer” starts off…no pun intended…rather charming. I think Ardalan Esmaili does a fantastic job bringing Esmail to life. This semi-broken man who is just trying to live his dream, trying to continue the goals he is fighting so hard to achieve. There are some funny moments early in the movie as Esmail succeeds and fails to seduce women, and at first, you think this will be quirky comedy. Gears shift quite a bit when Esmail meets Sarah (Soho Rezanejad) a half-Danish, half-Iranian girl who slowly but surely falls for Esmail. As Esmail and Sarah grow closer, the film seems to turn into a romantic film of sorts. You seem to get the idea that Sarah is Esmail’s golden ticket. You think that the movie will boil down to them falling for each other. The movie never feels like a cheat though. It never feels like a dishonest reaction. If you pay close attention to the film throughout, seeds are planted since the beginning of Esmail’s behavior and perhaps by the end, we never really knew him. It’s an ending that puts every motive, every ambition and every goal Esmail develops in question. The actors are great across the board and much of the movie works because Esmaili is so good. He’s quite charming, and you’ll believe that he is probably lucky with the ladies outside of acting. His chemistry with Soho is quite strong, and they make an incredibly cute onscreen couple. Their romance develops in a very organic, realistic way. Not in a sappy way that we see in lots of romantic movies. That’s another reason why the twist ending is so unbelievably heartbreaking. “The Charmer” was not what I expected it to be. I thought it was going to be Social Justice Warrior rant about how impossible the west’s immigrant relief is. While the film does shine a slight light on how some people are determined to leave their lives in an old country and find something in a new country, about what drives individuals to take a risk in a new nation, that’s really not what this movie is. It’s something so much more, and I loved it. I have no idea when this will get a wider U.S. release, but definitely keep an eye out for it.